AAA State of Play Blog: How to select Backyard Playground Equipment? It is always a great idea to turn your backyard into private playground for the kids, where they can climb, swing and play freely till the sun goes down. Though it sounds easy, but it becomes quite a challenging job for the parents to convert the backyard into playground for their kids. Before you put your thoughts into action, you need to pay attention on certain things. There are different types of play equipment like slides, dome climber, swing sets and see saw that you can install in the backyard playground. Select the play sets after considering the availability of space in your backyard. Make sure there should be adequate space between the two play sets in the backyard. The next thing that you should consider is the age of your child. If you have toddlers, you can choose to have plastic play sets, but these would not be the safe play sets for school goers. Wooden play sets are the best option for the old kids. 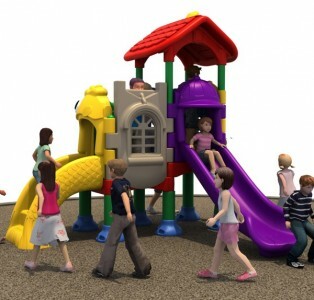 These play sets are not only the safest but also provide unlimited fun to them. Usually parents prefer installing wood sets as these can also stand firmly in the backyard for years on end. While selecting the indoor playground equipment, ensure that the manufacturer has designed it in accordance with American Society for Testing and Materials (ASTM) and Consumer Product Safety Commission (CPSC) guidelines.